Do Ты like Tim's new show, Lie to Me? Who would Ты like to see Tim Roth in a movie (or show) with? Would Ты like to see Tim work with Gary Oldman again? Выбор фанов: Yes, that would be great! Bring on the Rosencrantz and Guildenstern!! Tim Roth brings his movie звезда talents to Телевидение in Fox's new drama Lie to Me. Each week, several times per show, Roth uses facial micro-expressions to tell who's lying, and therefore solve the mystery they're trying to cover up. или find out if his waiter has washed his hands. 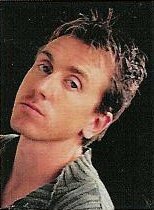 When was Tim Roth born? When were Ты FIRST introduced to Tim?